Why go on vacation when you can get it in a pill? 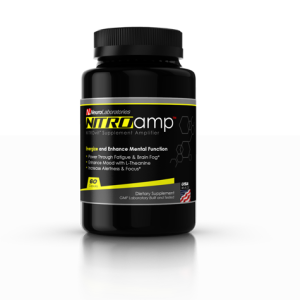 NITROamp has two brain altering ingredients: L-Theanine + Caffeine. Essentially the two primary ingredients of OG nootropic green tea. The NITRO supplement brand targets academics, athletes, & workaholics with its “go-getter” competition-driven formulas & design. Archie Marks, Founder & CEO of Neuro Laboratories, formulated the original NITROvit formula & continues to stand by the NITRO image. Directions: One – two capsules per day will boost mental energy. 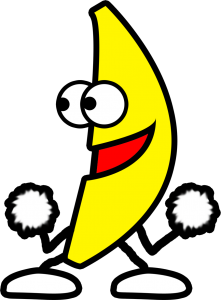 Further intake of caffeine might disrupt NITROamp’s equilibrium, and it would be advised to cut other caffeine sources when supplementing with NITROamp. Calling NITROamp a “formula” is like calling peanut butter & jelly a “formula.” Sure, they technically are formulas, but they’re also just two ingredients mashed together. On that point, if NITROamp’s two ingredients mesh as well as peanut butter & jelly, then I don’t care what you call it. I’m in. L-Theanine – Green tea compound, promotes alpha-brainwaves for what’s best described as “wakeful relaxation”–essentially sustaining a calm, yet alert mental flow-state. More on L-Theanine. Caffeine Anhydrous – Needs no introduction. Compared to L-Theanine, Caffeine is “wakeful” but not at all relaxing. Often to a fault. More on Caffeine. On average, an 8 ounce cup of green tea ranges in caffeine from 35 to 70 mg caffeine, whereas 8 ounces of coffee supplies a steady average of 95 mg caffeine. This is partially why green tea often takes a few cups to get anywhere near coffee-levels of mental stimulation. That’s right. Keep it coming. L-Theanine + Caffeine is considered by many as the go-to nootropic duo. Whereas the latter jolts acute mental energy, L-Theanine sustains calmness without compromising caffeine’s energy. The result has you feeling keyed-in & alert, minus the stressful, anxiety-inducing edge. Likewise, NITROamp‘s L-Theanine + Caffeine crank up mental energy while sanding off the caffeinated jitters for a few hours of peak focus & productivity. Additionally, research suggests that the specific benefits of L-Theanine + Caffeine (as opposed to just straight caffeine) includes increased reaction time, improved visual information processing, decreased mental fatigue, faster working memory reaction time, and alleviated “headache” conditions. Why not just drink Green Tea then? The argument could be made that green tea is the better option for supplying L-Theanine + Caffeine in addition to other healthy antioxidants. And I wouldn’t argue against this logic: Natural green tea is likely healthier than NITROamp. But NITROamp is perhaps the better cognitive enhancer for condensing the nootropic aspects of green tea (L-Theanine + Caffeine) into higher dosages & smaller servings (& arguably at a cheaper cost, depending on the green tea source). NITROamp simply packs in the primary mental benefits of green tea into a single pill, Brave New World-style. 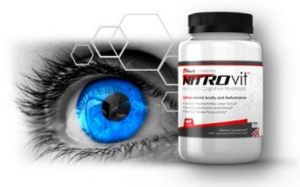 In a way, NITROvit is the older, bigger brother of NITROamp. Both formulas center on similar benefits (Focus, Memory, & Productivity); both formulas supply 100 mg of caffeine; but NITROvit does all of this and more, stacking up to 12 nootropics--each with their own set of bio-actions & benefits. Oddly, the products are advertised by Neuro Laboratories as a potential stack option (NITROvit + NITROamp for more Focus, Memory, & Productivity), but I can’t say it’s at all necessary. NITROvit already has caffeine & supplies Oatstraw, which, like L-Theanine, increases alpha-brainwaves. With that in mind, NITROvit is by far the superior NITRO option and should be considered over NITROamp, if you discount the price difference. L-Theanine + Caffeine is a powerful, potent nootropic duo that not only works, but offers a great introduction to nootropics for the nootropic newcomer. Sufficiently dosed, upping the L-Theanine + Caffeine levels well above the levels naturally found in Green Tea (but not too high). The transparent label shows all ingredient dosages as well as the short list of “Other Ingredients,” indicating a clean manufacturing process. Two ingredients can only go so far, especially when those two ingredients can be easily & cheaply found in natural green tea. If NITROamp is intended as a stacking option to NITROvit, it should have more (or something different) than L-Theanine + Caffeine. Students. Creatives. Workaholics. Gym-goers. Competitors. The NITRO brand has a major “go out and do it” vibe, whatever that “it” might be in your life. NITROamp seems to be exclusively available through the Neuro Laboratories website. OG nootropic green tea has been working for centuries. And NITROamp has what works in green tea, but supplies even more of it. As a classroom, workplace, and/or pre-workout nootropic, NITROamp works by increasing Focus, Memory, & Productivity. With only two ingredients for me to look at, it’s very easy to assess the worth of this formula. I rank it highly, despite its simplicity, because the L-Theanine + Caffeine partnership is an easy one to like. Off-the-record, I resorted to the duo to power through this article. So unless this article comes across as absolute bogus garbage, I’d have to say, yes, L-Theanine + Caffeine are worth it. And NITROamp offers them at a very reasonable price.